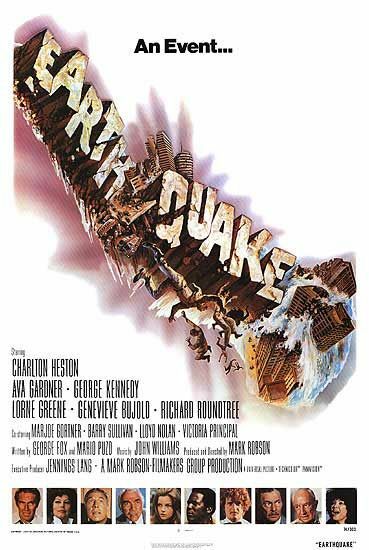 A source who was taking the California Bar Exam on July 29, when the session was presented in Sensurround, reports scenes of both abject fear and valiant heroism among the attorneys-to-be at the Ontario test site, arguably closest to the epicenter of Tuesday’s quake. As was widely reported, a magnitude-5.4 quake hit with just minutes to go in the morning session of the first day of the test. A 5.4, as these things go, is a moderately strong quake but the risk of injury or damage is pretty low. The 1994 Northridge quake was a 6.7, and the 1906 quake here in San Francisco was a 7.8, just to put the 5.4 in some perspective. It’s probably fair to add a point or two to your score, though, if you happen to be taking a bar exam at the time. Maybe another point is in order if it is your first earthquake, and possibly yet another if, as was the case on Tuesday, the fact pattern of one of the test questions involved terrorism. Frightening questions closely followed by a natural disaster may be enough to prove that bar examiners are in league with the Devil (for those who were still skeptical). If they are, the diabolical plan was successful. "One of my friends was in tears during the exam because she was so scared," reported the source. "It was a pretty jarring event for people who were already under time constraints and enormous pressure," he said, noting that he had some difficulty continuing to type in a shaking room with shaking hands. Yes, as you might have expected, many continued to type during an earthquake even as others were fleeing the room or taking shelter. "A lot of people," the source reported, "did do the half-and-half method of ducking under the tables WITH their laptops so they could keep on typing." You know, that kind of determination, plus 1900 billables a year, is just the sort of thing that might get you made partner someday. Robert Hawley, deputy director of the State Bar, said he had received no reports of "health or safety issues" following the earthquake. Still, he admitted, "any interruption weighs heavily upon the takers," which I think is probably true, especially if the taker thinks he or she might die because of it. Hawley said that the Bar was gathering data on the magnitude of the disruption (as noted above, it was a 5.4 + 2), and that this data, along with reports from "experts in psychometrics," would be analyzed to see if the earthquake may have had any impact on test scores. So, when Satan unveils whatever demonically low pass rate he has chosen this time around (February 2008: 39.6%), maybe those closest to the epicenter will have grounds for appeal. If necessary.